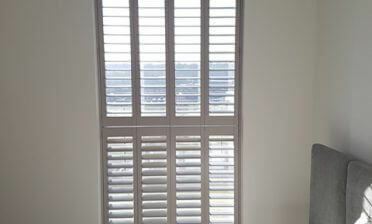 Tom was in one of our local areas of Kent in the town of Bexleyheath to install some shutters for one of our customers. 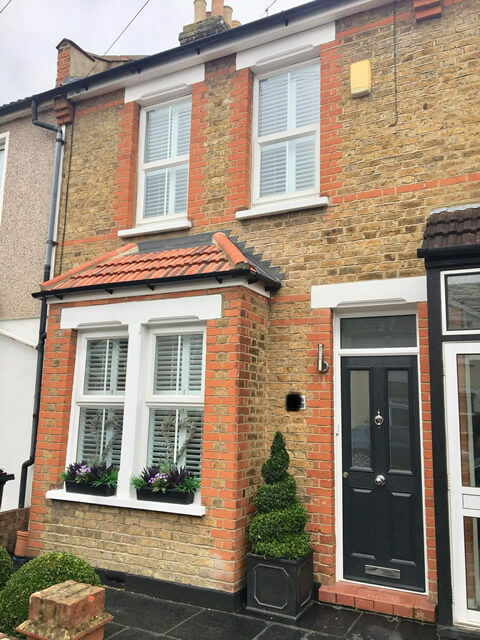 The customer was looking for a shutter solution which provided traditional styling and would work with the styling of the outside of the property. After discussion about the shutters we have available, the client opted to have tier on tier shutters created and installed. 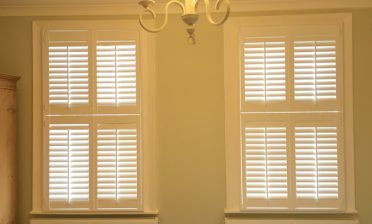 Not only our most versatile shutters, but the mid split in the shutters could be designed to line up perfectly with the traditional style windows of the home. All our shutters are designed in a way to look perfect from outside and inside of the property and as you can see in this case, the windows look amazing with the new shutters neatly sat behind, greeting anyone approaching the property. 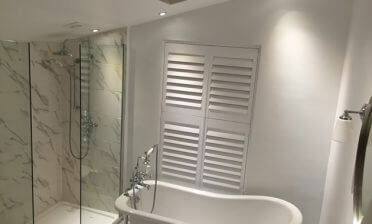 The shutters themselves feature 64mm louvres with centralised tilt rods, again helping to add that traditional look to the panels and then were finished in a pure white paint with white hinges, which works perfectly with the white window surrounds in and out of the house. Our client was thoroughly impressed with the transformation!